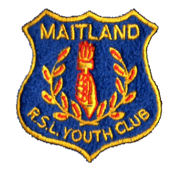 Welcome to Maitland RSL Youth Club on your iPhone and iPod Touch! The best way to always keep in touch and be informed about what's happening at your club. With carefully thought out features by parents for parents, youth and other me-789mbers of the club community. Keeping it simple and straight makes it sharp and reliable. You'll see all the events that are planned at the club. It keeps you in the loop and also reminds you before an event comes up so that you can make sure you're ready for it. Never miss an event just because you didn't know about it. You can also filter by groups and categories so you only see events relevant to you. Receive blazingly instant messages from the club for pertinent information and reminders about due items. Customise your group subscription to receive only relevant messages. Oh this is our favourite. A photo is worth a million words. Get immersed into the experience of a practice or game at the club. You can save the moments on your Photos app and then share it any way you like. For everyone who read their news in the most obscurest places (that includes us too), you can now read all the news that the club sends on your iPhone. You can bookmark various sections, zoom into specific articles, email it to yourself and believe it or not, print it too (don't do it too often, we're all about saving trees).